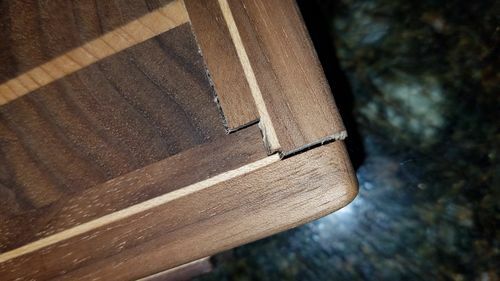 I made a cutting board a while back, and some of the joints at the corners have started to open up (see close-up photo). 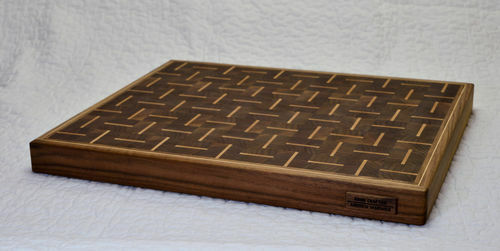 My theory as to why, is because I have the grain throughout the cutting board running vertically, but on the edging it is running horizontally, which causes the different parts of the cutting board to expand and contract differently. Can anyone confirm that this is the case, or give me any other thoughts you may have?